What is Rand Fishkin upto? 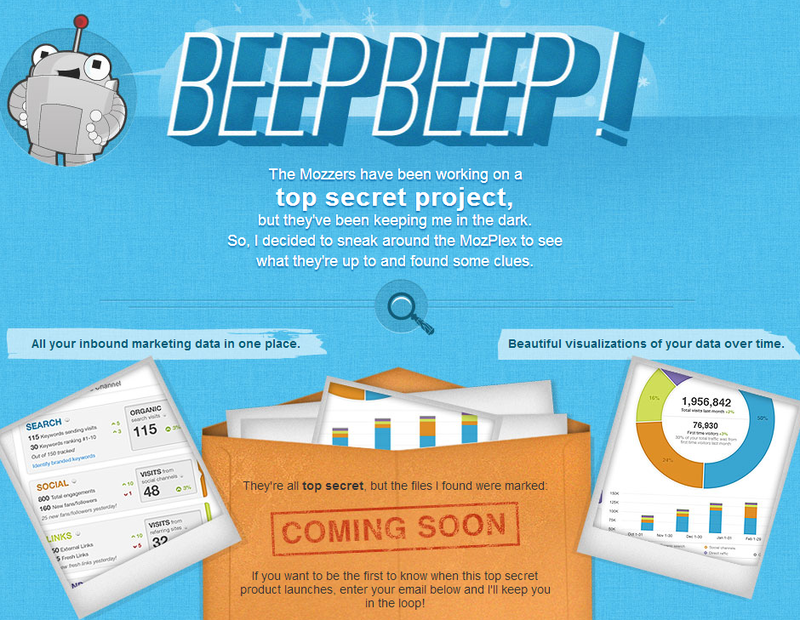 There seems to be a top secret project MOZ going on from SEOMOZ. MOZ blog is already up and running. What I can see from the current home page message they are definitely going to join the inbound marketing business. I am looking forward for this launch as I am interested to see their offering in the space of inbound marketing. I am a follower of Rand Fishkin awesome work in the SEO space. Good wishes to Rand Fishkin!